มี เลิฟ โกลด์ คอลลาเจน 80,000 มก. 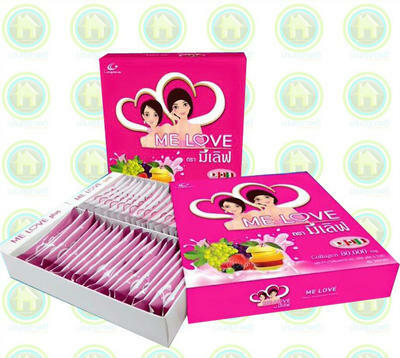 ราคา Me Love Gold Collagen 80,000 mg.
Collagen 2.00 g.Grape Seed Extract 0.15 g.Vitamin E 0.10 g.
Vitamin C 0.10 g.L-Glutathione 0.05 g.F.O.S. 0.05 g.
Tags : Me Love Gold Collagen 80 ,	000 mg.